Always running around on weeknights? 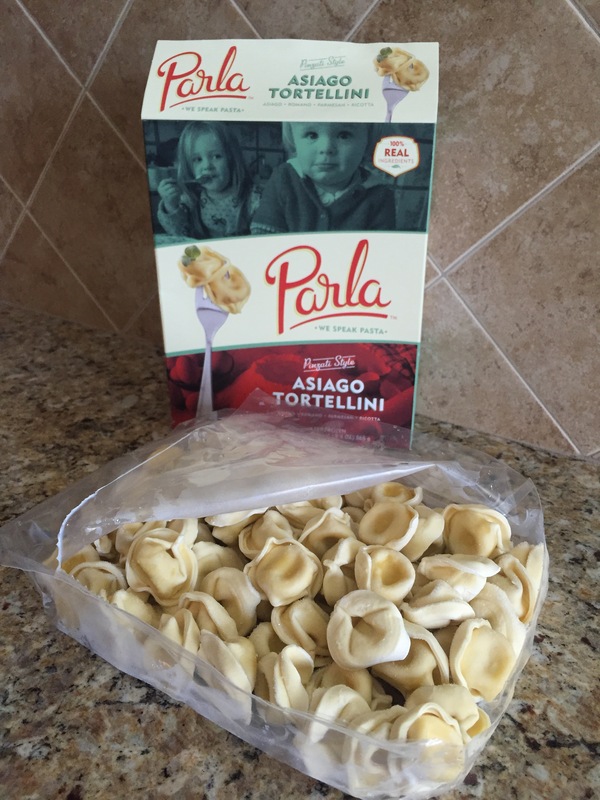 Parla Pasta is my new solution to a fast, delicious meal. Parla Pasta is made in High Point, North Carolina by Rick and Simone Drake. The Drake family has been crafting small-batch pasta since 1985 for restaurants and specialty stores that stake their reputation on quality Italian food. The pasta is made with all-natural ingredients and Parla Pasta guarantees there are no artificial preservatives. 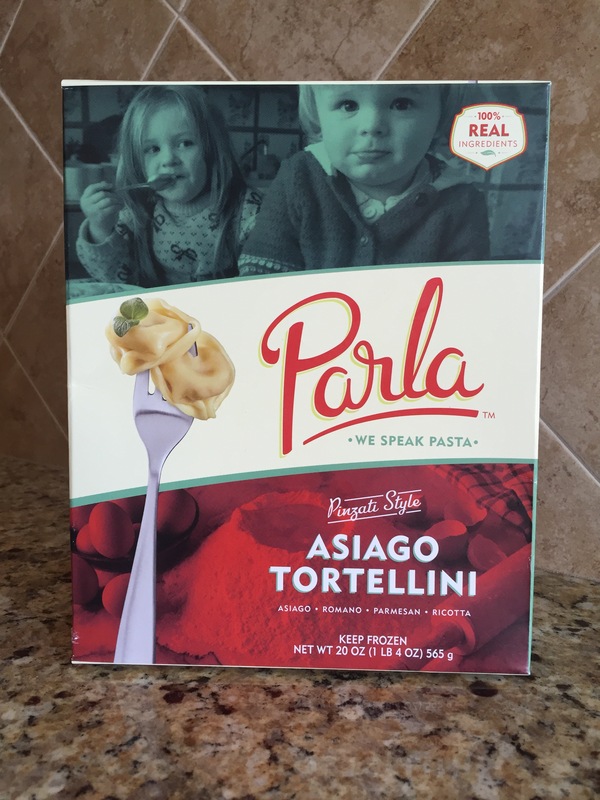 Parla Pasta is available at your local Harris Teeter, Publix, Lowes Foods and Fresh Market. Make sure to check the freezer section for a variety of options like Cheese Ravioli, Chicken and Spinach Florentine Ravioli, Four Cheese Manicotti and more. I decided on the Asiago Tortellini so I could make a delicious pesto sauce to accompany the pasta. Below is my quick and easy go-to pesto recipe adapted from the Food Network Kitchen. Combine basil, garlic and pine nuts in a food processor and pulse until coarsley chopped. Add 1/2 cup of olive oil and process until fully incorporated and smooth. Add remaining oil and pulse until smooth. Transfer pesto to a large mixing bowl and mix with the cheese. 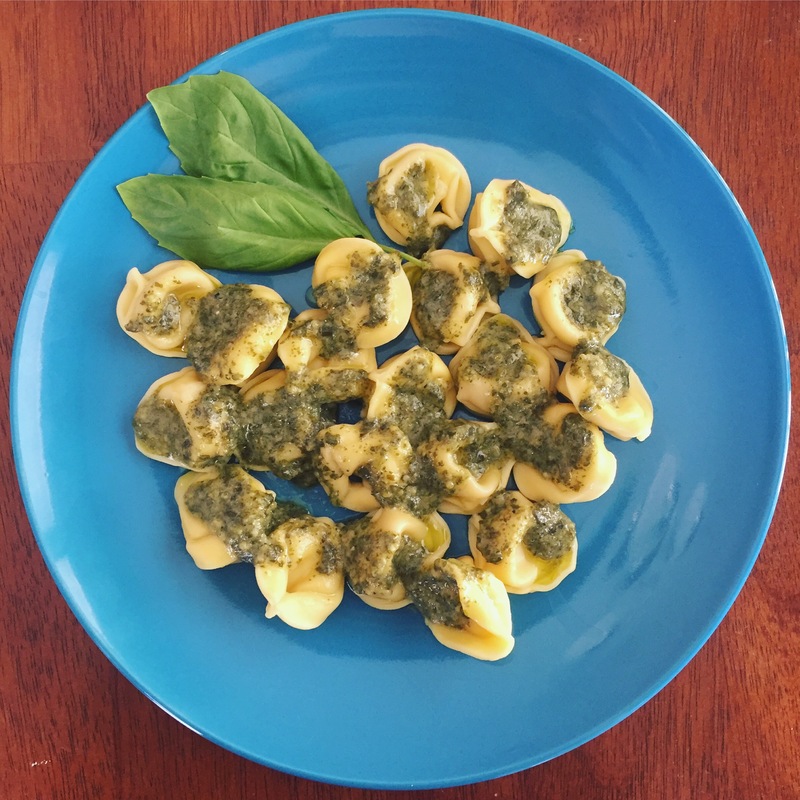 Simply boil the Asiago Tortellini Parla Pasta for about 7 minutes and top with the freshly made pesto. How easy was that?